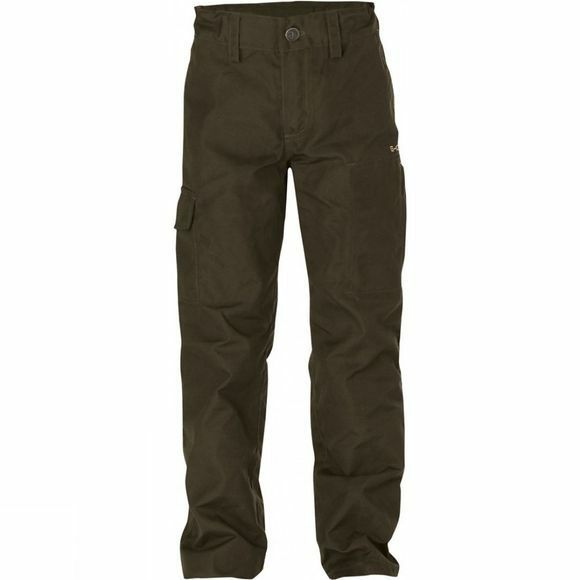 The Kids Ovik Trousers Comfortable and hardwearing outdoor trousers for kids who like to play hard. Perfect for trekking, but equally suitable for school and play. Made from Fjällräven's durable wind and water resistant G–1000 Original with a brushed finish. There's plenty of room for small items in the large leg pocket, hand pockets and back pockets, while the waist can be adjusted with the elastic band. The leg endings can easily be adjusted to fit your child’s height.